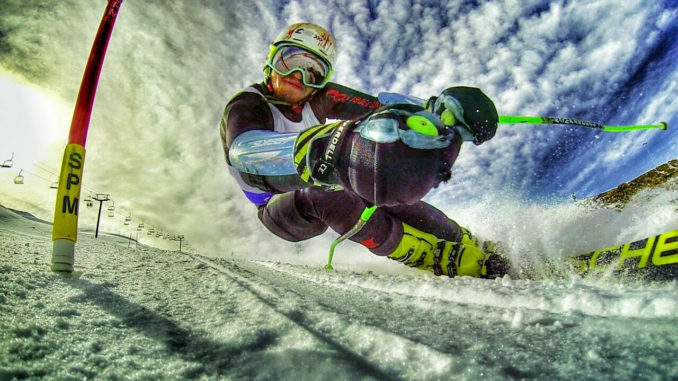 See competitors like Vermont's Robby Kelley when the World Pro Ski Tour is resurrected this winter. And its rebirth begins here in New England. For the first time since the tour ended in 1999, the World Pro Ski Tour officially relaunches March 10-12, 2017 with the Pro Ski Challenge at Sunday River in Bethel, Maine. This world-class venue for ski, snowboard and other special events will host the race at its Monday Mourning Race Arena on Barker Mountain. It’s an ideal spot with excellent viewing angles for spectators on snow and foot, located just in front of the Barker Lodge. This debut event will feature the professional dual alpine ski race format that had tremendous success in the U.S. from 1970 to 1999. The field will be filled with Olympic, World Cup and NCAA competitors including 2012 National GS Champion Robby Kelley, 2015 Nor-Am Cup Overall Champion Michael Ankeny and 2016 National GS Champion Kieffer Christianson. After the races, head to Sunday River-area hotspots for bar parties featuring World Pro Ski Tour sponsor Tito’s Handmade Vodka. Can’t get to Maine? The Pro Ski Challenge will air March 19 on CBS Sports Network, which is available nationwide (check your local listings for air time). And the Sunday River event is just the start. Premier ski resorts across the country will host a thrilling schedule of races during the 2017-18 season. Watch the World Pro Ski Tour Facebook page for updates as the season gets underway.